A safe, warm, comfortable, hygienic parlour pit floor improves the well-being and morale of parlour operators making them more productive and less likely to be absent. Double sided - blue and green. 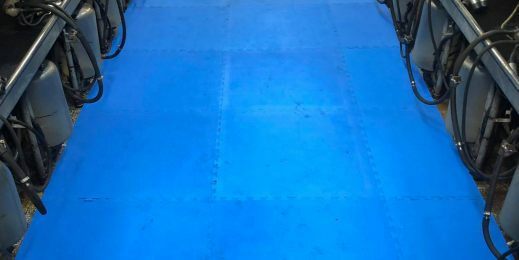 We have teams of fitters working across the UK who will fit the mats for you, or we can deliver it direct to your farm for you to fit yourself. You can buy parlour pit mats from our online shop . 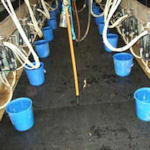 See pictures of our parlour pit installations on farms across the UK.